Walthers Cornerstone Horn-Hook Couplers are direct replacements for the older-style X-2F couplers in Walthers rolling stock kits. 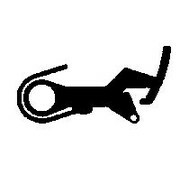 Couplers are molded in Delrin(R) plastic. Horn-Hook Couplers will not couple to knuckle couplers.